Actor Chadwick Boseman attends the 2018 Film Independent Spirit Awards on March 3, 2018 in Santa Monica, California. Actor Chadwick Boseman will deliver the keynote address at Howard University's graduation ceremony next month, the school announced Wednesday. Best known for his role in "Black Panther," Boseman also has portrayed Thurgood Marshall, James Brown and Jackie Robinson. He said he's honored to return to his alma mater, from which he graduated in 2000. The university's president, Wayne Frederick, said Boseman "reminds us of the excellence found in the African diaspora and how places like Howard are hidden, untapped gems producing the next generation of scientists, engineers and doctors." At the ceremony Saturday, May 12, Boseman will receive an honorary doctorate. "Black Panther" fans filmed a video message sharing what the movie means to them — what they didn't know was that Chadwick Boseman was right behind the curtain, waiting to surprise them. Former FBI director James Comey delivered the keynote speech at Howard's 2017 graduation. Former president Barack Obama made the speech the previous year. Boseman will speak at the school at a tumultuous time. Students went on strike for days earlier this month with complaints about student housing, sexual assault reforms, campus police and more. 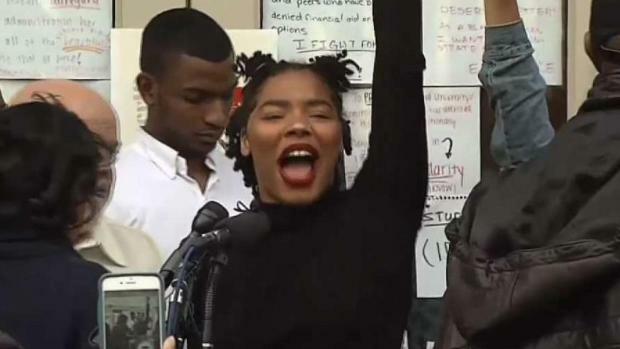 After days of sitting in at Howard University's administration building, students celebrated Friday. They reached a deal with the school's trustees. News4's Shomari Stone reports.